When you’re trying to lose weight the goal is to create a calorie deficit each day. This is the “secret” to weight loss. You must burn more calories than you consume. If you aren’t sure how many calories you should be eating to lose weight, try using a Calorie Calculator (they are a dime a dozen on the internet). You can create a deficit by Counting Calories, Exercising, and Reducing Calories. This is not the case for maintenance. You are no longer trying to create a deficit, you are just trying to stay within a certain calorie range each day (or points if you are on Weight Watchers). Like I said, the work doesn’t end when you reach goal–but you aren’t restricting as much. When I was losing my weight I counted my calories every day and my goal was to eat about 1500 calories a day. I was usually more like 1600-1800 calories depending on the day. Some days were more challenging and I was really pushing the envelope at 1900 calories. But I worked hard and counted every bite and nibble. I was also exercising but I didn’t EAT what I burned. This was creating a deficit and I lost 110 pounds. After I lost my 110 pounds, I was still counting my calories and I was still exercising 4-5 times a week. I had to make a mental shift from losing to maintaining. One of the ways I did this was getting used to the idea of eating more. I wasn’t changing my healthy habits, but when I worked out I ate back some of the calories I burned. Not all of them–but some. Here is an example: Let’s say you burn 2500 calories per day from exercise, the normal daily activities (getting dressed, showering, walking, etc. ), as well as what your body does to survive (breathing, pumping blood, digesting food, etc.). This means that 2500 calories is your daily calorie maintenance level. If you ate 2500 calories a day, your body would remain the same. Your weight would not go up or down and you would “maintain” where you are at day in and day out. This is pretty much where I am currently. My weight does not fluctuate much more than a pound or two in either direction because I’m eating more calories than I did when I lost the weight. According to some websites, my maintenance calorie level is about 2400 calories a day. On any given day I eat between 1900-2400 calories right now. “Eat More” does not mean “EAT WHATEVER YOU WANT” in massive quantities. You’re just feeding your body a little bit more than it needed when you were losing the weight. At this point your body should have LESS reserves of fat to burn, which is why you need to eat a little bit more–right? Makes a lot of sense, doesn’t it? QUESTION: Do you have the maintenance part down? Or are you still struggling to figure out what it means in terms of exercise and food? This is a great series to start! I’m looking forward to getting to maintenance stage one day & I always learn a lot from your advice. One thing I’ve noticed in the past couple weeks, when I stopped tracking my activity on my Weight Watchers app, I stopped thinking it was OK to eat those points back. And I think I’m losing weight more easily because of it! You’re so right. It’s all about the deficit. Good for you! Glad you figured out a system that works for you and you’re seeing results. I’m still on the journey to goal. Yeah…I figured that many of my readers are still on the journey to goal. No shame in that! Thanks for laying things out so clearly. Sometimes it is easy to forget that there is nothing magical about all this. I am maintaining a 150 lb loss and entering the maintenance phase was very scary for me. Luckily, I had been meticulous about recording calories eaten and exercise for the two years it took me to lose the weight. I just kept on recording and experimented with adding calories a little at a time, inching up my monthly averages. Of course, I kept up with my daily exercise and resistance training. I especially like the part about eating back your exercise calories when beginning to maintain. That would have been a helpful way to think about it at the time. I just wish I could eat in your maintenance calorie range. I maintain at about 1700 calories per day. But I am probably older than you (I’m 50) and maybe shorter (5’7″). We are all different! I think that is why it is so important to track your intake. you have to know what works for you. I definitely think it’s different for everyone. The only reason I know my calorie range for maintaining is 1800-2200 or so is because that’s what I’ve been eating for years and have stayed the same weight (give or take 1-2 pounds depending on the time of the month). I also burn a pretty high number in the gym. 60-75 minutes in the gym for my usually burns 500-800 calories depending on the activity I’m doing. If I exercised less, I’d probably eat less too. Congrats on losing 150 pounds! It sounds like you did it in a healthy way and recording everything is working for you. Yes, there is no “magical” cure or answer for all of this. Just hard work. 🙂 You should be proud! Oh, yes!!! So true about eating more does not mean eating more of anything you want in massive quantities. 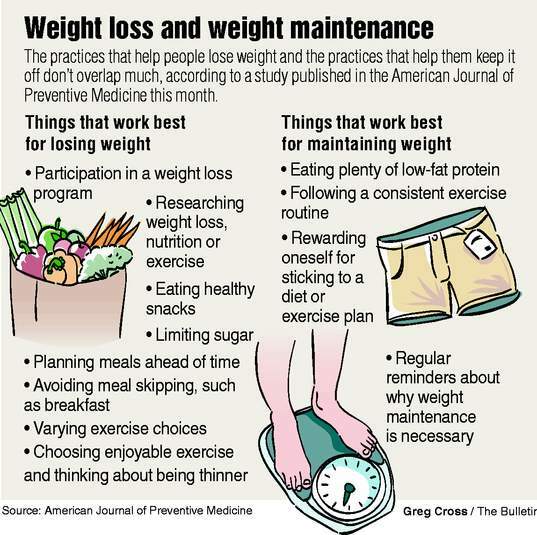 I think that the more you are focused on setting up the “new normal” in weight maintenance the more success and longer you can stay at goal weight. That trial and error part. The balancing of finding how much you can eat , how exercise fits into the equation. I had a shift about 6 months in maintenance and I now require about 20g fewer carbs to maintain. Since I was weighing daily, I picked up on it fast and made adjustments. In my failed attempts at maintenance , I did go back to the way I used to eat, and the weight did come back. I really applaud you for doing a series of posts about weight maintenance. It’s a topic that’s not covered enough-IMO. Support from others in maintenance is key. Being able to ask questions from multiple resources is great. That’s really interesting that you discovered that fewer carbs are needed to maintain. That’s very specific and I think it’s great you were able to narrow it down like that. I haven’t really taken a look at that type of stuff–I’ve just been focusing on calories. It’s a good idea, though. Thank you Karen, I’m glad that people are enjoying the maintenance posts. I agree–there aren’t that many maintenance blogs out there. When I first discovered the blog world it was mainly people who were currently losing the weight, or were just into fitness. The bloggers who had a story like mine were few and far between. 🙁 It’s nice to hear from other maintainers though!